OTTAWA - Canada will contribute an additional $10 million to help stabilization efforts in Mali. The new funds were announced as international donors prepare to meet this week in Brussels on how to rebuild the North African state. Mali fell into turmoil after a 2012 coup led to Islamic fighters taking over wide swaths of the north, prompting an international military force to intervene. The fighters were eventually routed and Mali has now unveiled a $5.58-billion overhaul of the country, hoping to raise nearly half of that from the international community. The plan includes rebuilding government institutions and the military, elections in July, dialogues with rebels in the north and reviving the moribund economy to ensure people are paid to work. Among other things, Canada's $10 million will go towards backing the African-led military presence in Mali until a new United Nations mission is established. Canada is also contributing to a trust fund focused on restoring democratic institutions in advance of the planned summer elections. 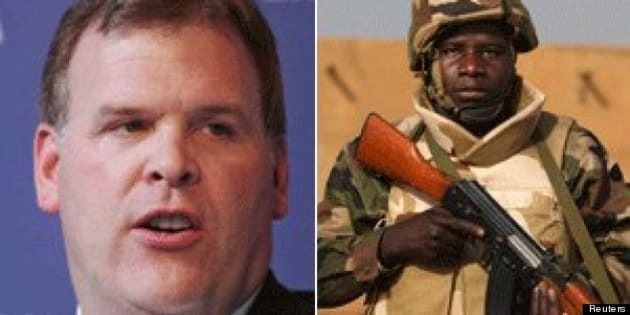 Foreign Affairs Minister John Baird says Canada's efforts in Mali are aimed at ensuring it doesn't become a safe haven for jihadists. Canada contributed a Globemaster aircraft and some 40 soldiers to help transport cargo during the international military effort, but that mission ended quietly last month. On July 1, UN peacekeepers are supposed to take over from the 6,000-member African-led mission in Mali, although the deployment date is subject to change depending on security conditions.